Eric Elliott has been writing, singing, and playing music for about as long as he can remember. Sure, there were piano lessons at age 6, but it all really started when his parents, hoping it would be an outlet for his nervous energy, bought him a drum set for his 9th birthday. A few years later, he found a mountain dulcimer in his uncle's living room and his musical adventure started in earnest. 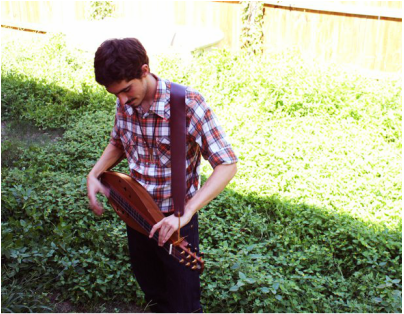 Since then, Eric has written and performed songs on the dulcimer and drums for various projects, including a guest appearance on Quintin Stephen's dulcimer album, "Pathways" in 2005, writing and recording soundtracks for several independent short films, co-producing a studio album, "King Minty Philosophers," with Quintin Stephens in 2009, and producing three studio albums with the San Antonio folk-rock band, Jasper's Cast. You can find some more information on the "Past Projects" page. 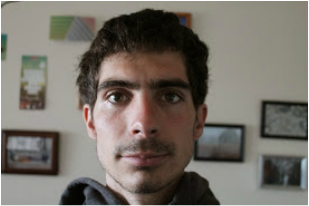 Currently, Eric is living and playing music in Seattle, WA, where he recently moved from Boulder, CO. He teaches dulcimer lessons and has recently recorded and self-released his first solo dulcimer album, "Dots and Lines." He was selected to perform and teach dulcimer lessons at the 2015 and 2016 Colorado Dulcimer Festival in Littleton, CO. He is available for a wide variety of music events. Please feel free to send him a message through the "Contact" page here on his website, and have a great day!